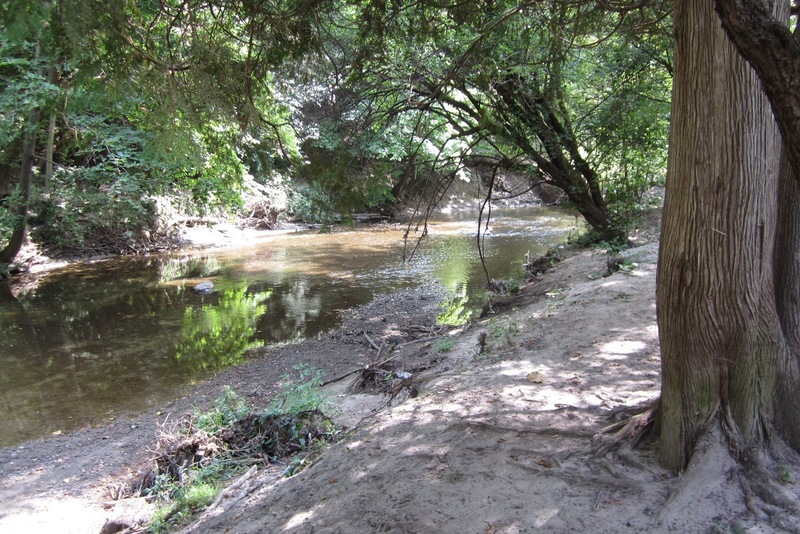 Toronto is known for its many ravines and underground rivers. This is a geological phenomenon apparently created after the last ice age. Fortunately most of the ravines and their rivers have been preserved, so they make for pleasant rambles through the woods. Sunday we went for a walk through the ravine that runs behind the Glendon campus of York University. 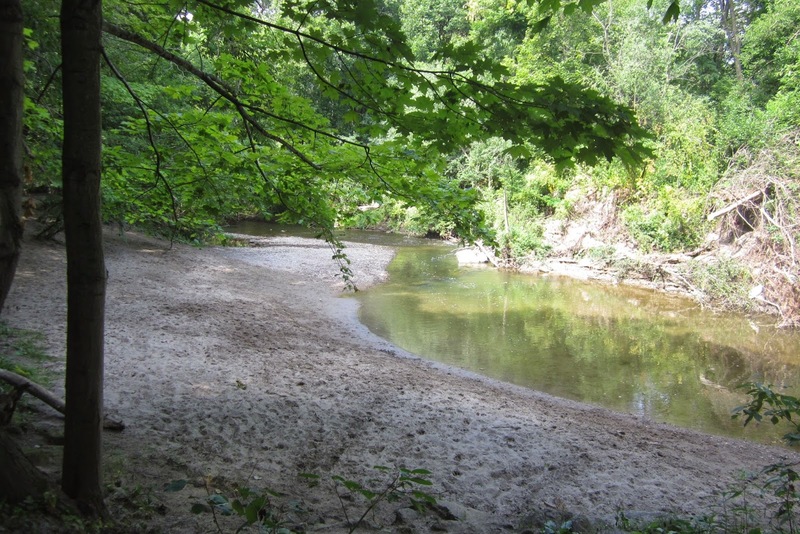 We've walked Glendon ravine before, but it is often quite muddy, so we avoid it in winter and early Spring. However, a few dry days clears up the worst of the mud and makes for quite an amazing country walk in the heart of the city. 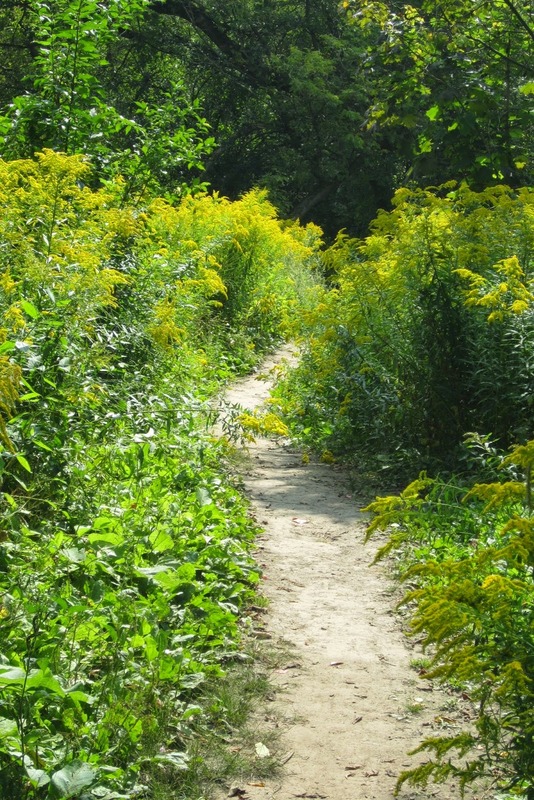 Yes, the Goldenrod was out in full force. 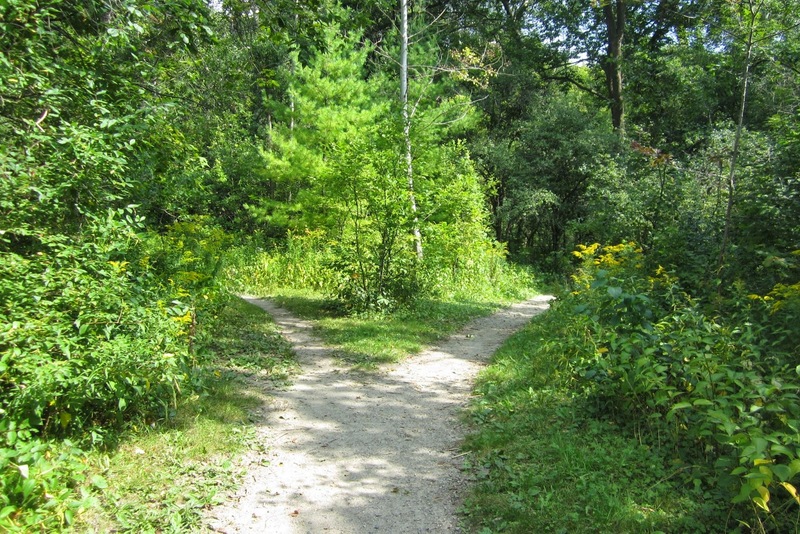 Two roads diverging in a yellow wood. I love the poem by Robert frost. But I love even more Yogi Berra's famous quotation - "When you come to a fork in the road, take it." We took the right fork for this.